Mainly it's that you're awake, and people aren't taping things to your face. 1. You're not using cardboard boxes as accessories. 2. This isn't what you see when you look in the mirror. 3. You can leave McDonald's whenever the hell you want. 4. 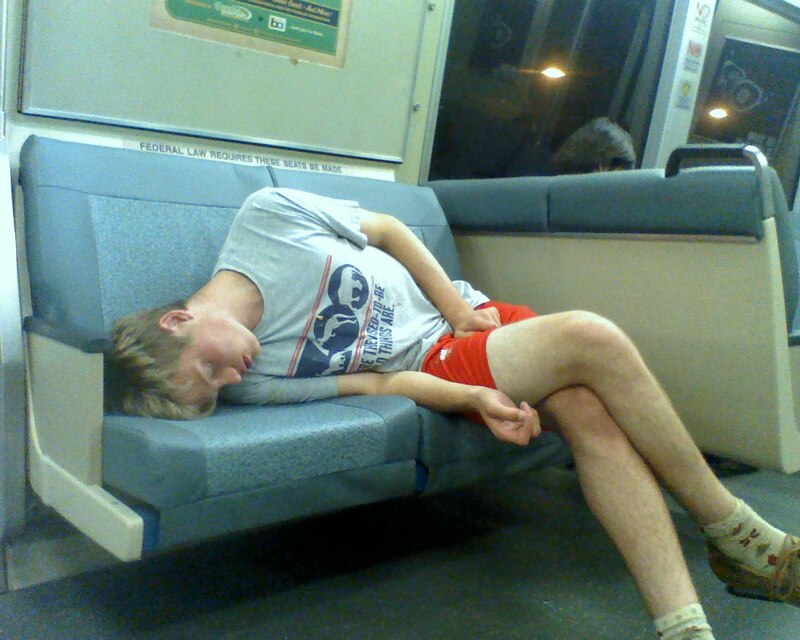 You're not passed out awkwardly on the train. 5. 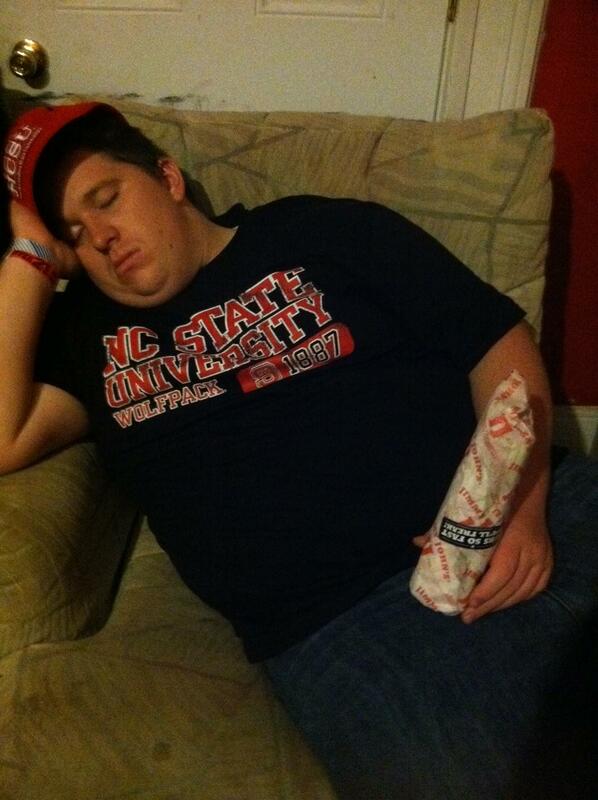 You didn't fall asleep before eating your delicious sandwich. 6. The cops aren't coming for you. Or maybe they are for other reasons. No judgment. 7. You know that hand sanitizer is meant for your hands. 8. You're not passed out on the street next to a cooler. That cooler is probably empty, or filled with empty cans. 9. Your BFF isn't a toilet. 10. You're not making sexual advances toward an inanimate object. 11. A potted plant didn't die because of you. 12. You're not the poor man's Jack Sparrow. 13. You didn't write write this diary entry. 14. People aren't photobombing your nap. 15. You weren't forced into sightseeing. You also know how to spell sightseeing. 16. Your body doesn't fall out of chairs. 17. 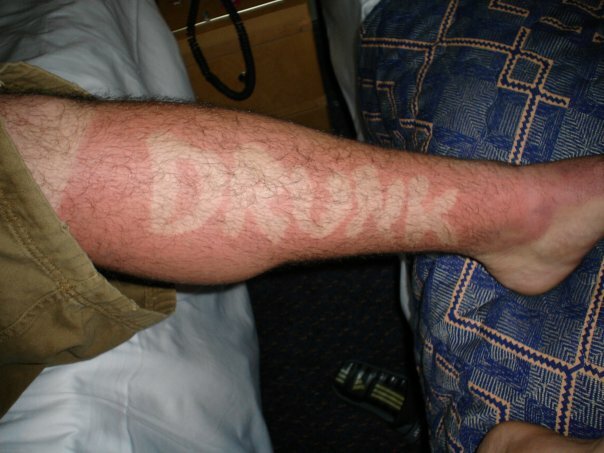 Your sunburn is even. 18. Gravity isn't working against you. 19. You didn't just fall off a roof. 20. Your chest isn't an ashtray. 21. You're not duct taped to a wall. 22. Pennies aren't superglued to your face. 24. And neither is this. 25. You know how to use a bathroom. 26. Your friends aren't cutting off all your hair. 27. And you can hold up your own head for a mugshot.